Wilcox, Michael. "Sir John Abbott". The Canadian Encyclopedia, 04 January 2019, Historica Canada. https://www.thecanadianencyclopedia.ca/en/article/sir-john-abbott. Accessed 18 April 2019. John Joseph Caldwell Abbott, PC, QC, KCMG, lawyer, professor, businessman, politician and prime minister (born 12 March 1821 in St. Andrews East, Lower Canada [now Saint-André-d’Argenteuil, QC]; died 30 October 1893 in Montreal). 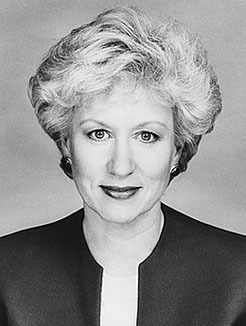 Abbott was a leading authority on commercial law, a strong advocate of English Quebec’s business elite and an influential figure in many corporate and social organizations. He was the first Canadian-born prime minister, as well as the first to hold the position from the Senate rather than the House of Commons. He served as prime minister from 16 June 1891 to 24 November 1892. John Joseph Caldwell Abbott was born in St. Andrews East, Lower Canada (what is now Saint-André-d’Argenteuil, Quebec) to Joseph Abbott and Harriet Bradford in 1821. His father was an Anglican missionary and a member of the Society for the Propagation of the Gospel and he brought his wife and first son with him to various missions in Lower Canada under his purview. The young Abbott spent much of his childhood helping with chores and reading from the many books available in his home. After graduating from secondary school, he worked at a couple of different dry-goods companies in Lower and Upper Canada. In 1843, he moved to Montreal to attend McGill College (now McGill University), where his father worked as a bursar. At McGill, he simultaneously took law classes and assisted with the school’s accounting. Abbott graduated from McGill and was admitted to the bar in 1847. Two years later, he partnered with William Badgley, a well-known Montreal lawyer and law professor at McGill. That same year, he married Mary Bethune and, together, they had eight children. Abbott started teaching law at McGill in 1853 as a lecturer. After receiving a Bachelor of Civil Law in 1854, he became dean of the faculty of law in 1855, a title he held until 1880, when he was named emeritus professor in the faculty of law. Throughout his teaching career, he had many prominent students, including Adolphe-Philippe Caron and Wilfrid Laurier. 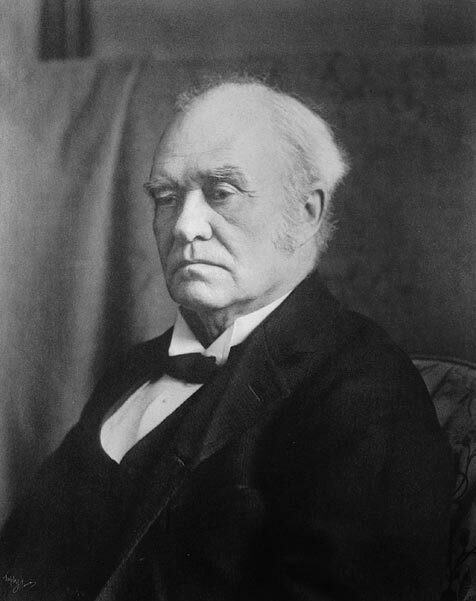 Abbott was made Queen’s Counsel in 1862, received a doctorate of law in 1867 and was named to the board of governors of the Royal Institution for the Advancement of Learning at McGill in 1881. In his long-standing legal career outside the university, he specialized in commercial law. His practice was among the most prominent in the country. Among his many clients were John Thomas Molson, Sir Hugh Allan, Bank of Montreal, Hudson’s Bay Company, Bell Telephone Company of Canada, Standard Life Assurance Company and Canadian Pacific Railway. In what is, arguably, his most famous case, Abbott successfully defended four Confederate agents following the 1864 St. Albans Raid, an event that sparked tensions between Great Britain and the United States and contributed to Confederation (see American Civil War and Canada). Abbott’s legal career was financially lucrative, and he used that wealth to further several business ventures. He held shares and senior positions in a wide variety of companies, particularly with banks and insurance companies (Merchants’ Bank of Canada, Bank of Montreal) and mining companies (Dominion Mineral Company, Intercolonial Coal Mining Company). Abbott was also deeply involved in the booming railway industry of late-19th-century Canada. He provided legal representation and advice to railway companies and owned and held shares in various companies, including the Canada Central Railway, a combination of several smaller lines. In the early 1870s, Abbott became embroiled in the Pacific Scandal. As the legal adviser to business mogul Sir Hugh Allan, Abbott was present when an agreement was struck by which Allan arranged to bankroll the Conservatives’ election campaign in exchange for the contract to have the Canadian Pacific Railway	(CPR) build the railway to the Pacific Ocean. In addition, he was the intermediary through whom arrangements were made and funds were transferred. While the scandal forced the Conservatives to be ousted from Parliament, it did not dampen Abbott’s interest in the construction of a transcontinental railway. He helped draft the charter that incorporated the CPR in 1881 and served as the company’s solicitor until 1887. An effective promoter and lobbyist for funding, Abbott was instrumental in the ultimate completion of the transcontinental railway in 1885. That year, he was named to the board of directors of the CPR, a position he held until 1891. 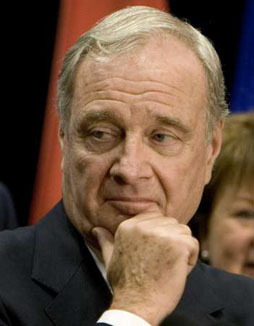 As a wealthy lawyer, businessman and politician, Abbott was a member of Montreal’s social elite. Over time, he came to own several properties and estates in Argenteuil, Montreal and the Eastern Townships. Abbott was a member of the Rideau Club and St. James Club of Montreal and was president of the Fraser Institute, a free public library (now the Fraser-Hickson Institute). He was also one of the founders of the Art Association of Montreal (which later became the Montreal Museum of Fine Arts) and Canadian Society for the Prevention of Cruelty to Animals (see Humane Societies). He pushed for libraries and other institutions to help the poor, deaf and blind, and he was the first president of the Board of Governors of the Royal Victoria Hospital. Abbott’s first public venture into politics began in 1849, when he signed the Annexation Manifesto, a document put together by the Annexation Association that called for Canada’s union with the United States. Signed by 325 leading Montreal businessmen, primarily but not solely English-speaking, the Manifesto emerged out of frustration with Britain’s decision to allow the passage of the Rebellion Losses Bill and end a trading system that gave preference to its colonies. Whether the call for annexation was a serious demand or an attempt to pressure the British government to maintain custom duties is debatable. For his part, Abbott later remarked that most of the signatories had “no more serious idea of seeking annexation with the United States than a petulant child who strikes his nurse has of deliberately murdering her.” Though Abbott admitted that the manifesto had been a mistake, it continued to be a focus of scorn by his political opponents for decades. 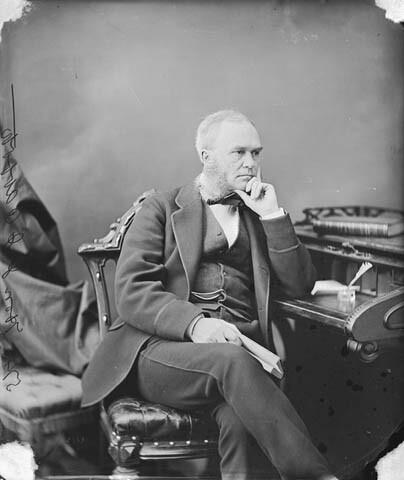 From 1860 to 1867, Abbott represented Argenteuil as a Member of Parliament for the Legislative Assembly of the Province of Canada. He joined the Reform government of John Sandfield Macdonald and Louis-Victor Sicotte	in 1862 and took the role of solicitor general for Lower Canada. Abbott wasn’t initially enthusiastic about confederation and feared that the position of Anglophones in Lower Canada would be weakened. Nevertheless, he joined the Conservative Party and won a seat in Argenteuil in 1867 and again in 1872. Although deposed because of the Pacific Scandal, he retook the seat in 1881 and continued to represent Argenteuil until 1887. Throughout his career as an MP, Abbott frequently sat on committees that were connected to the economy and infrastructure, including railways, harbours, telegraphs, banking, commerce and bankruptcy. Prime Minister Sir John A. Macdonald appointed Abbott to the Senate	in 1887. Given Abbott’s many administrative talents and his knowledge of parliament, Macdonald wanted him to be part of the inner circle of government. He therefore named Abbott Senate house leader and cabinet	member, though without a particular portfolio. While in the Senate, Abbott simultaneously served as mayor of Montreal for two one-year terms in 1887 and 1888, a rare feat in Canadian history. When Macdonald died in office in 1891, the Conservative Party and the country needed someone to fill the void. 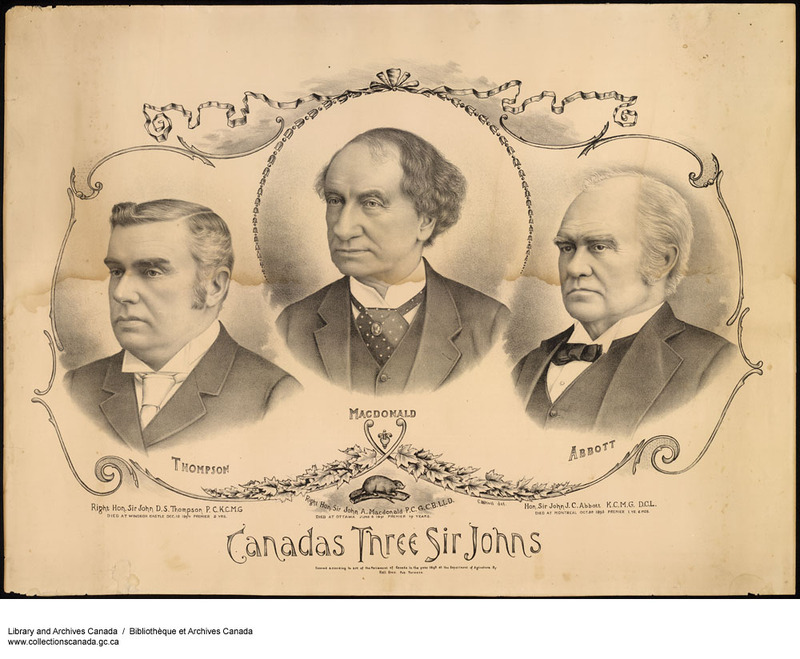 John Sparrow David Thompson, Charles Tupper and Mackenzie Bowell were regarded as possibilities, but it was Abbott who emerged as the compromise choice. Abbott never wanted the position and wrote that he was the least loathsome of all the available options. Ironically, only 12 days before he became prime minister, he wrote, “I hate politics, and what are considered their appropriate methods. I hate notoriety, public meetings, public speeches, caucuses and everything that I know of that is apparently the necessary incident of politics, except doing public work to the best of my ability.” Despite these sentiments, Abbott became the first Canadian-born prime minister, taking over the role on 15 June 1891. Since he wasn’t in the House of Commons, Abbott had Thompson handle many of the day-to-day responsibilities. As leader, Abbott had to deal with internal strife, including ethnic, linguistic and religious division. Corruption and personal squabbles embattled the Conservative Party. In addition, the electorate was growing weary of the Conservative Party, which had been in power for much of Canada’s existence. The country faced significant problems as well, including economic depression, the Manitoba Schools Question (concerning the fate of French Catholic schools in that province) and the Bering Sea dispute between Britain and Canada on the one side and the United States on the other. As prime minister, Abbott worked diligently and diplomatically to tackle these and other issues. Under his leadership, the government established the first Canadian Department of Trade and Commerce and held preliminary talks on a reciprocity treaty	with the United States (although the talks failed). Abbott also oversaw the implementation of and revisions to the Criminal Code and recommended civil-service reforms. Finally, he suggested letting the Courts handle the Manitoba Schools Question, as had Macdonald before him. His years in public service and contributions to Canadian society were recognized when he was named a Knight Commander of the Order of St Michael and St George in 1892. Deteriorating health forced Abbott to resign on 5 December 1892, after only 17 months as prime minister. John Thompson was left in charge and officially sworn in on 7 December 1892. Abbott travelled to England, France and Italy to recover, but brain cancer ultimately took its toll. He died in Montreal on 30 October 1893 at the age of 72 and was buried in Mount Royal Cemetery. The Government of Canada named Abbott a National Historic Person in 1938. John Abbott College, an English-language Montreal-based CEGEP established in 1970, is named in his honour. C. Ondaatje and D. Swainson, The Prime Ministers of Canada 1867-1968 (1968).